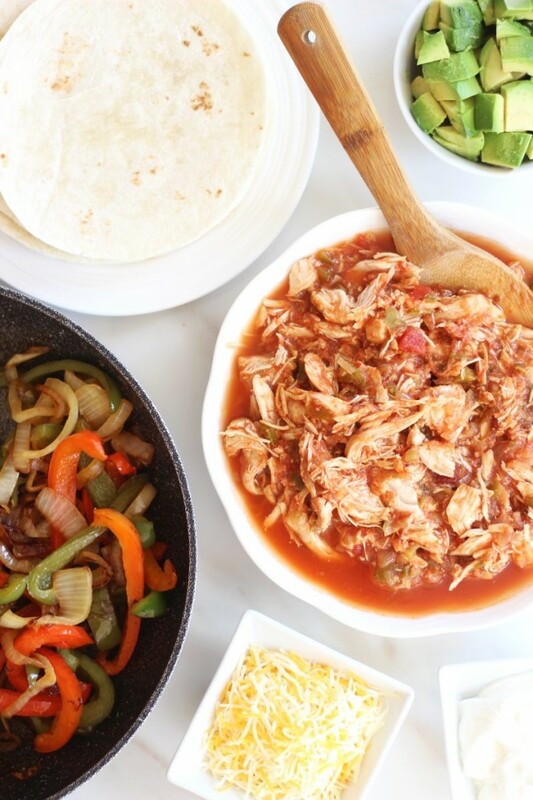 Two-ingredient slow cooker salsa chicken is super tender and so simple to prepare! 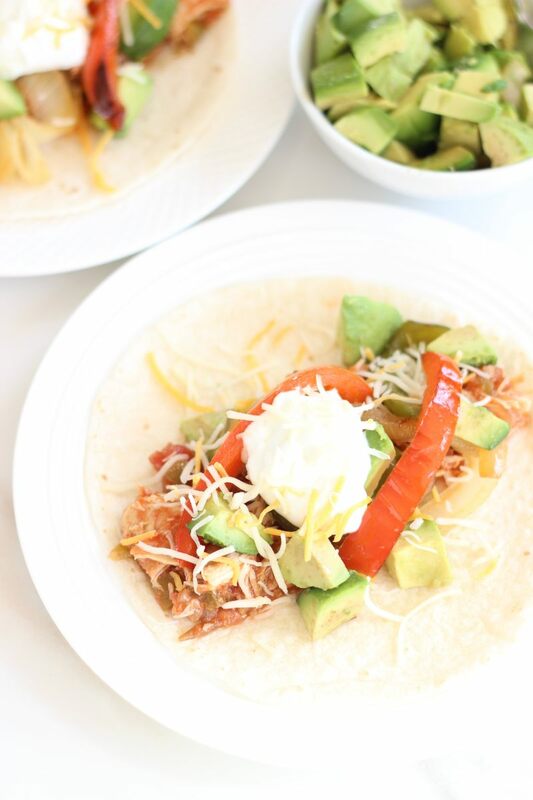 With grilled peppers and onions, slices of ripe avocado, and shredded cheese, these fajitas are one of our favorite easy dinners to fix! 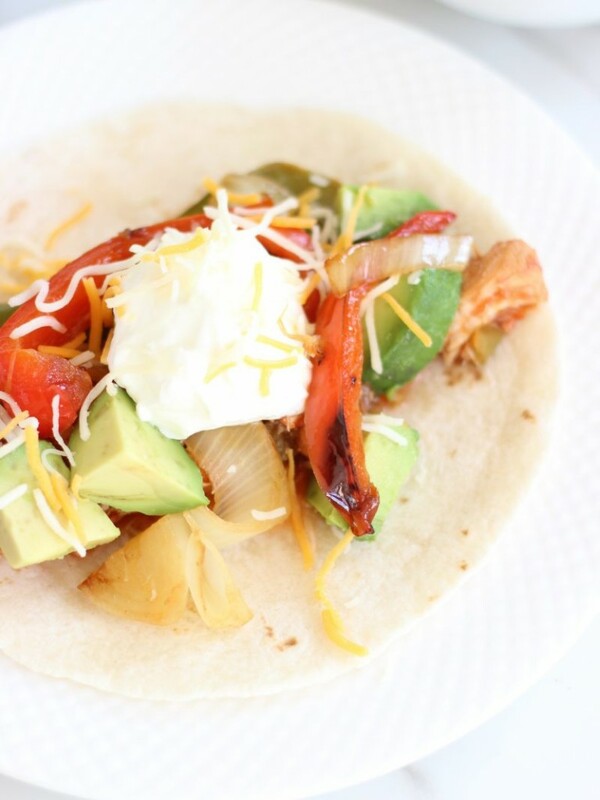 Fajitas are one of our favorite dinners to make. More recently, we’ve also been enjoying a lot of taco salads too. In either case, we are flying through salsa. For us, fajitas are a great way to use up leftovers. 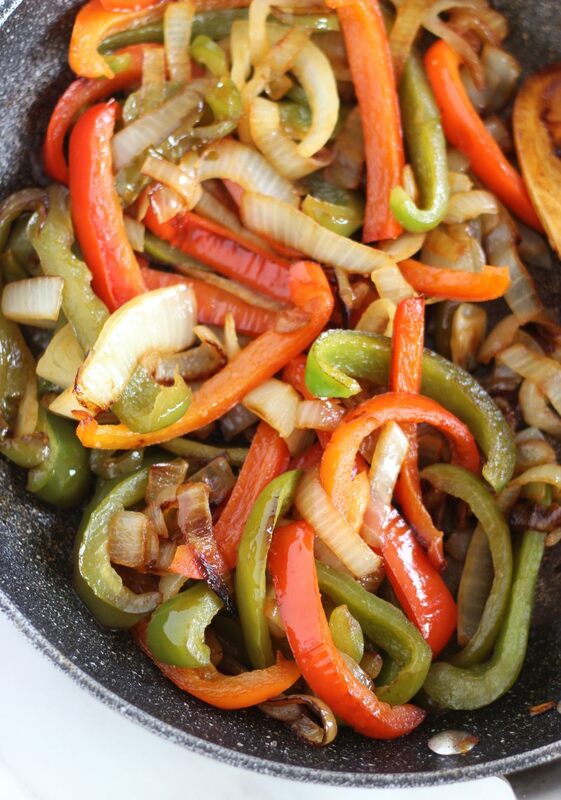 We’ll grill out steaks, and whatever we don’t finish, we slice and warm up with grilled peppers and onions for dinner the next day. 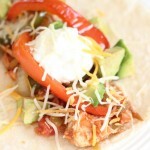 A few tortillas, some shredded cheese, chopped avocado, plain Greek yogurt (or sour cream – they taste the same to me! 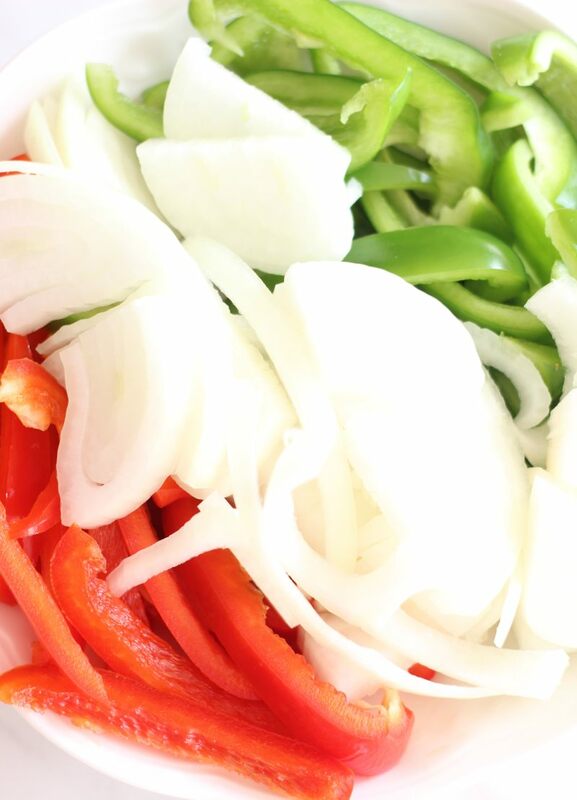 ), and we’ve got a satisfying fajita dinner coming at us. So many toppings and ingredients to choose from. We set it up like a fajita bar, which is pretty darn fun, quite honestly. 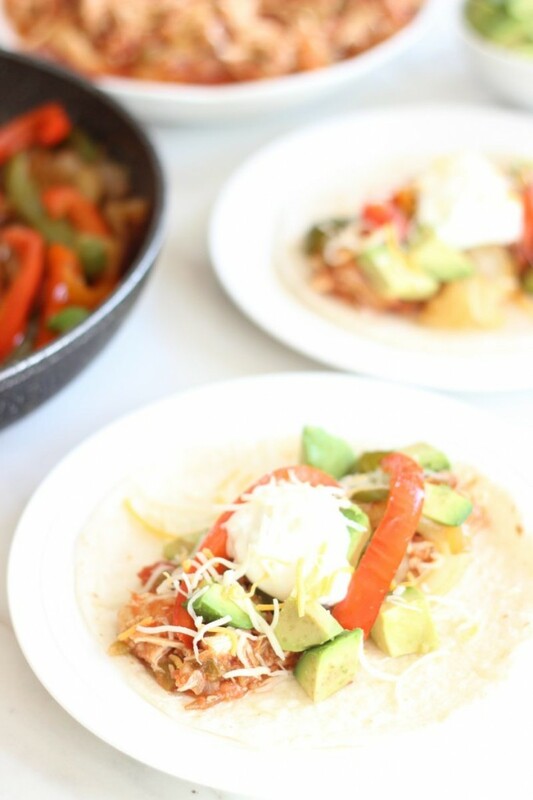 We also love to make a super simple slow-cooker salsa chicken for fajitas. It’s just chicken breasts doused in salsa, but it turns out so tender and flavorful. The Pace® Salsa really kicks the flavor of the chicken up a notch, gives it some heat, and the acid tenderizes it. It’s so tender that it just falls apart. Knowing that we were going to watch football all day today and might be hosting a few family and friends, I wanted to prepare these fajitas for us to feast on throughout the day. 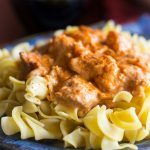 I threw the chicken and salsa in the slow cooker first thing when I got up today, and then went about my morning. When I checked it a few hours later, the salsa chicken was ready to eat, but for a quick stir! So while we were watching football all day, and cheering on our favorite team, we were devouring these simple Salsa Chicken Fajitas. 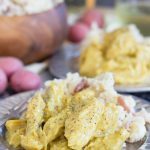 We’re looking forward to making them again for our college bowl game party! 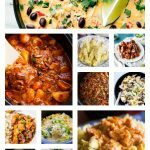 Two-ingredient slow cooker salsa chicken is super tender and so simple to prepare! It's perfect for making fajitas! Pour 1/3 the jar of salsa into a slow cooker. 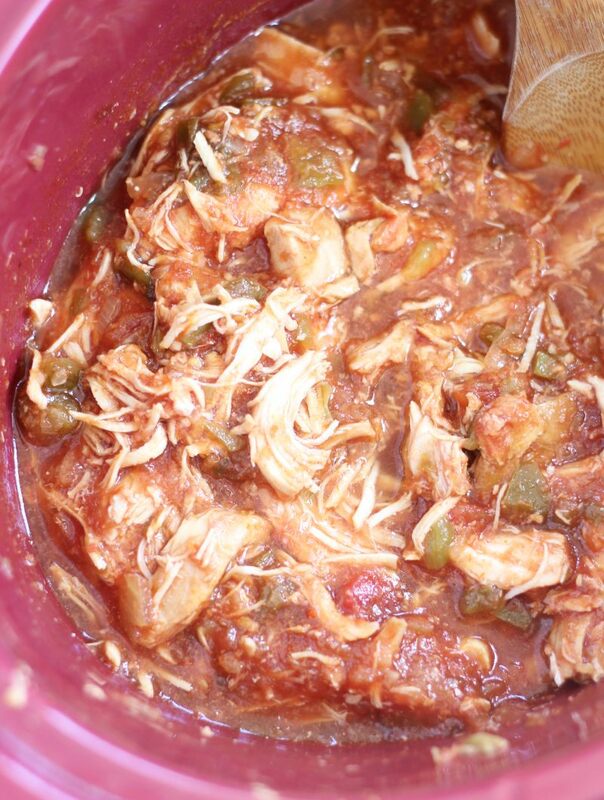 Place the chicken in the slow cooker, and top with remaining salsa. Cover and cook on high for 3-4 hours, or low for 6 hours, or until the chicken falls apart and shreds easily with a fork. 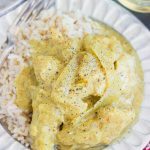 Shred the chicken thoroughly, and stir with the juices. 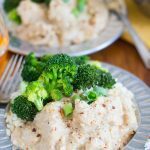 Turn off the slow cooker. While chicken is cooking, prepare remaining ingredients. Add the onion and peppers, cooking and stirring occasionally, until they begin to brown and soften, about 10-15 minutes. 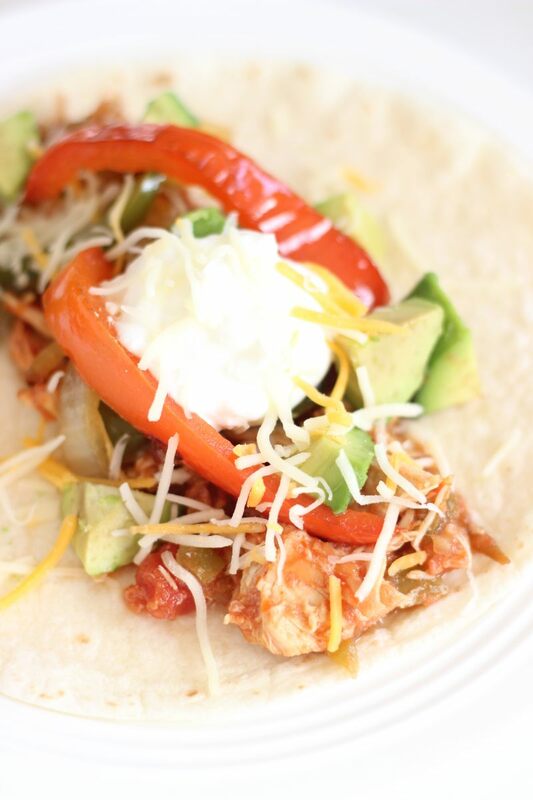 Layer the flour tortillas with the salsa chicken, onions and peppers, avocado, a dollop of Greek yogurt, and a generous sprinkling of cheese. Hope you had a great weekend, Sarah! Isn’t it so surprisingly good? All it takes is salsa – that one single ingredient – to make chicken so delicious? Haha! We love it too. Thanks so much, Blair! Lol! I just ate it for BREAKFAST believe it or not. That’s how much I love this salsa chicken!!! 🙂 Thanks, Carolyn!